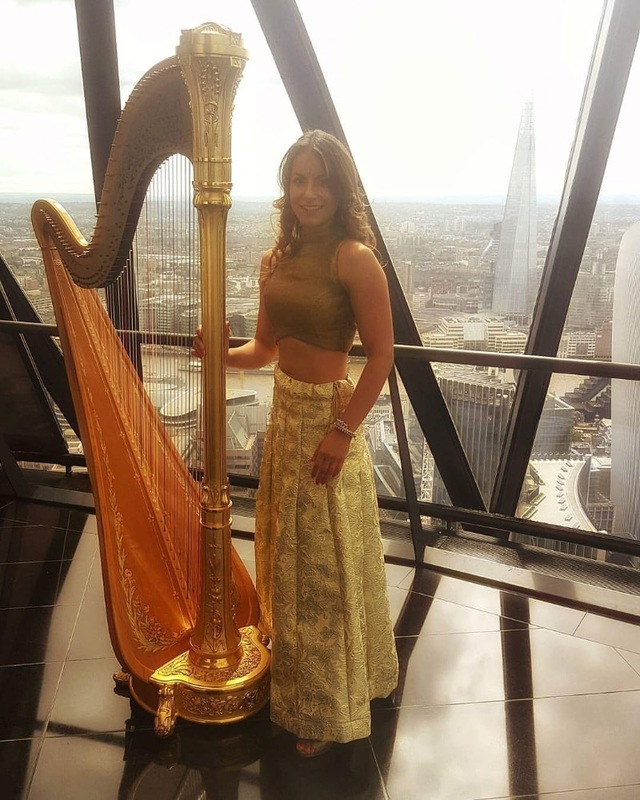 Having performed for many prestigious clients from Buckingham Palace for the Queen’s Coronation Festival, to Dolce & Gabbana; Melissa is a versatile musician who encompasses Classical & Contemporary music, through to Bollywood. Whatever your event, Melissa will add a touch of magic & enchantment that will be remembered by all! 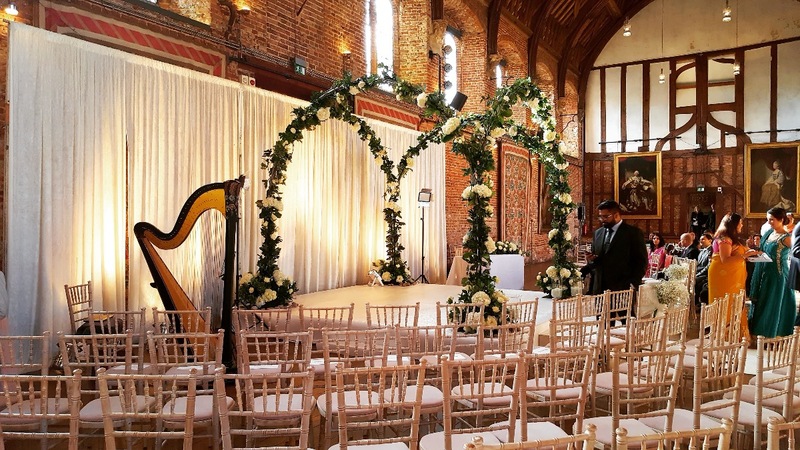 "Lovely background music that set the atmosphere... We would definitely recommend..."
"Our staff and customers thoroughly enjoyed the music"
"Melissa was everything we had hoped for on our special day." 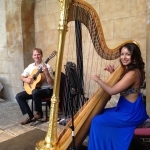 "It was a pleasure to have you at our wedding and I would definitely recommend yo..."
"Dear Melissa – such a superb concert last Tuesday; so enjoyable and what s..."
"All I can say is that she is absolutely brilliant. She is totally flexible, orga..."
"Thank you so much for your wonderful performance on Friday. Your music was the p..."
"The music was truly beautiful and it made our ceremony really special." 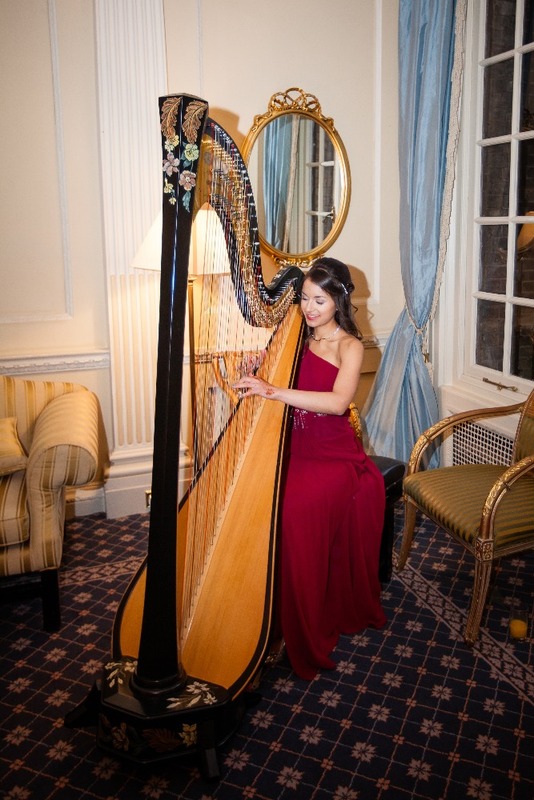 "The wide musical repertoire made her an instant hit with all the guests. I would..."
"It was just a perfect day. 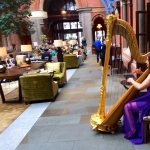 Your music added the perfect touch to everything for ..."
Studied a Master of Music in Performance under the tutelage of harp Professor Daphne Boden at the Royal College of Music! Many prestigious clients from Buckingham Palace for the Queen’s Coronation Festival, to Dolce & Gabbana! Notable venues include The Ritz, The Savoy & more! Awarded a Distinction in the Premier Challenge Cup for Strings in the London Music Festival 2012! 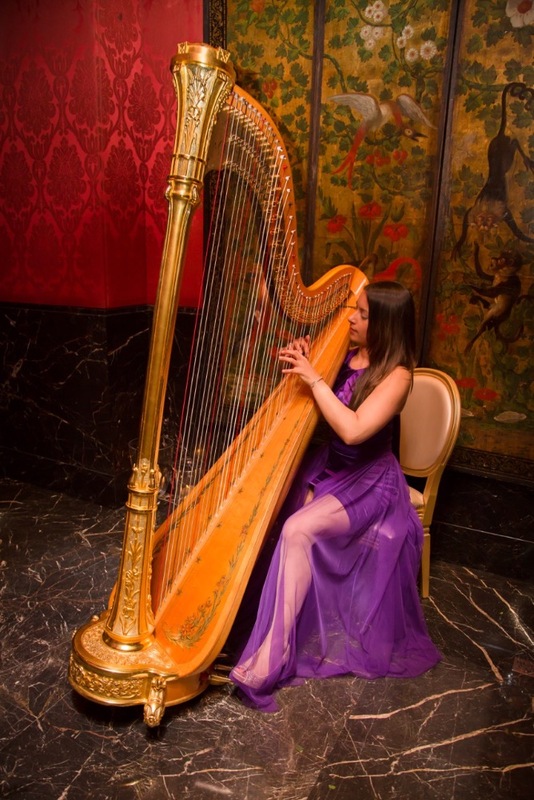 Extensive repertoire covering Classical, Jazz, Bollywood, Pop & more! 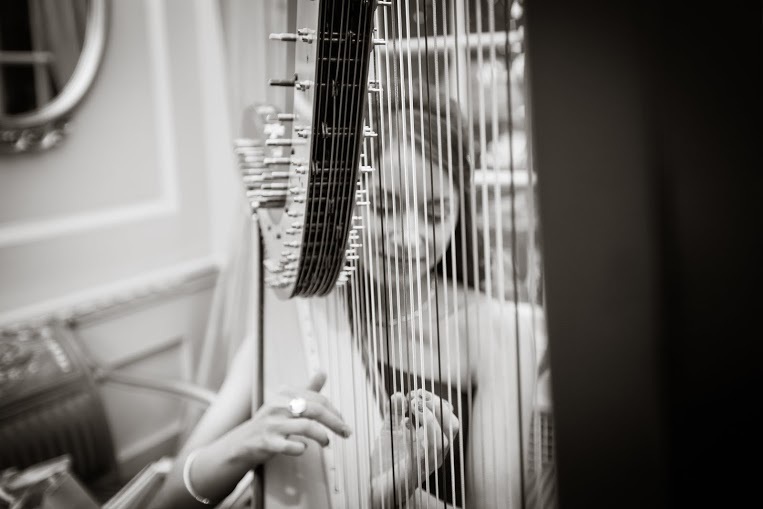 * Highly experienced, classically trained harpist.  * Extensive repertoire covering Classical, Jazz, Bollywood, Pop & more! * Previous clients include Dolce & Gabbana, Buckingham Palace, The Ritz, The Savoy & more! 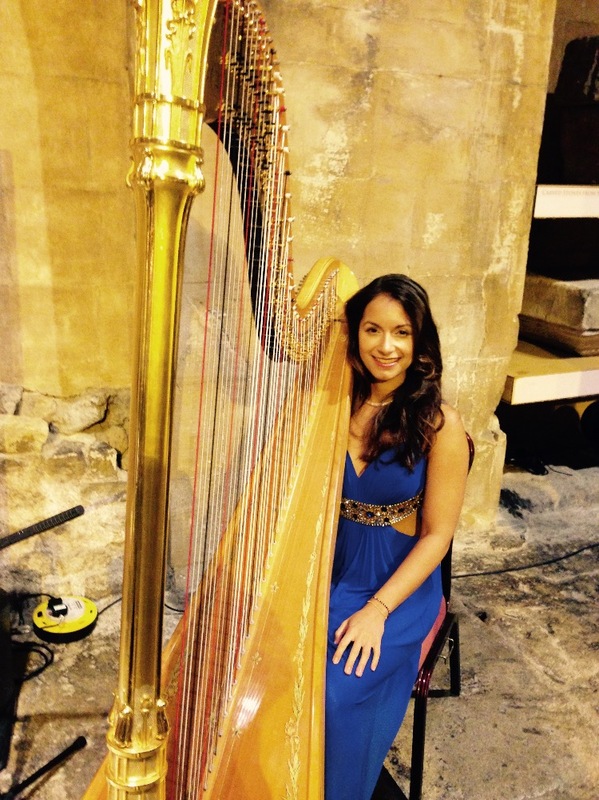 Melissa is a versatile musician, who performs a range of genres from Classical, Contemporary through to Bollywood. 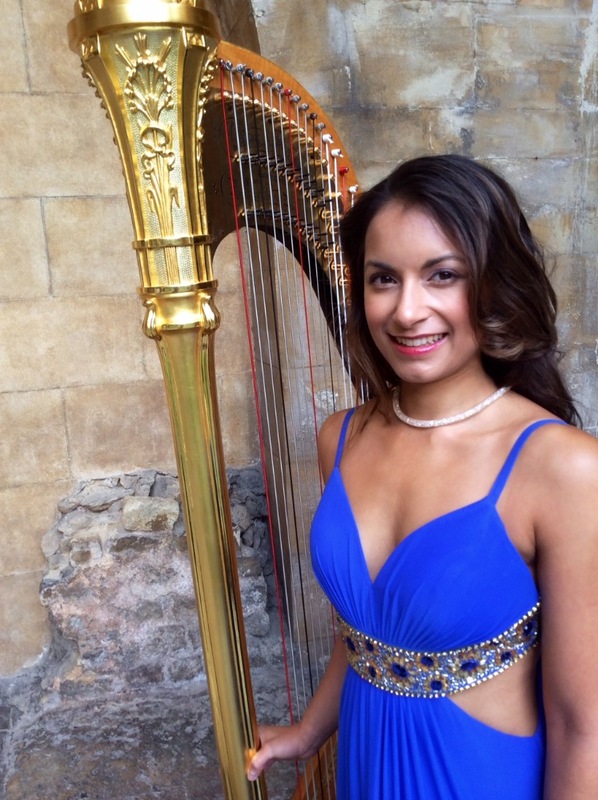 From solo recitals, weddings to orchestral engagements, she has performed across the UK and Europe. 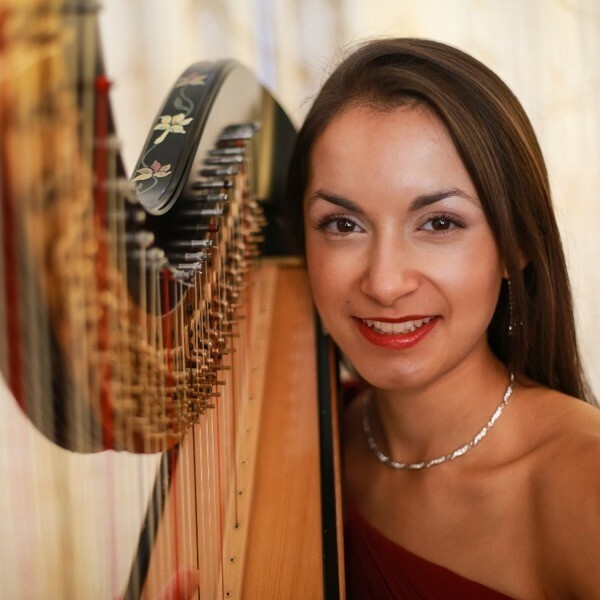 Melissa has performed solo harp recitals at Buckingham Palace for the Queen’s Coronation Festival, Winchester Cathedral, the Victoria & Albert Museum, Lincoln’s Inn Fields, The National Gallery, and the Kammermusiksaal in Cologne, Germany. 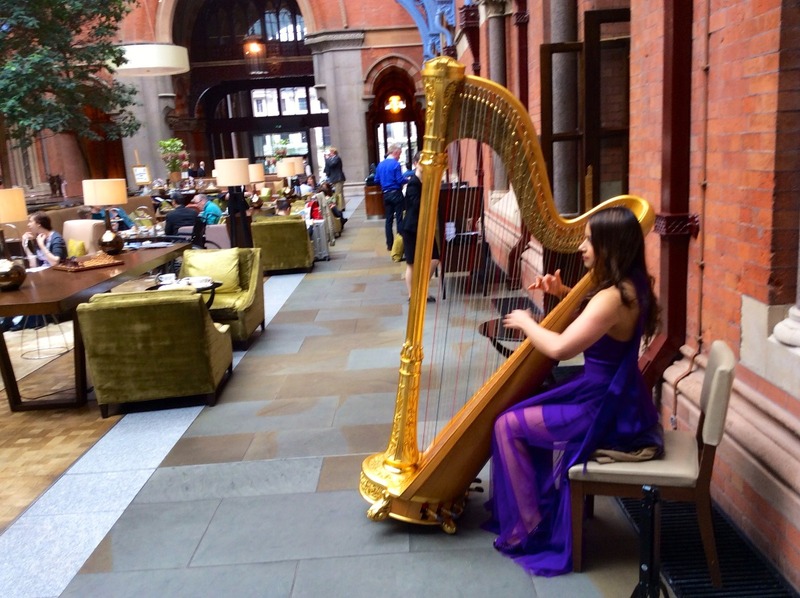 Other solo highlights include being invited to play for HRH Prince of Wales at the RCM President’s Visit. 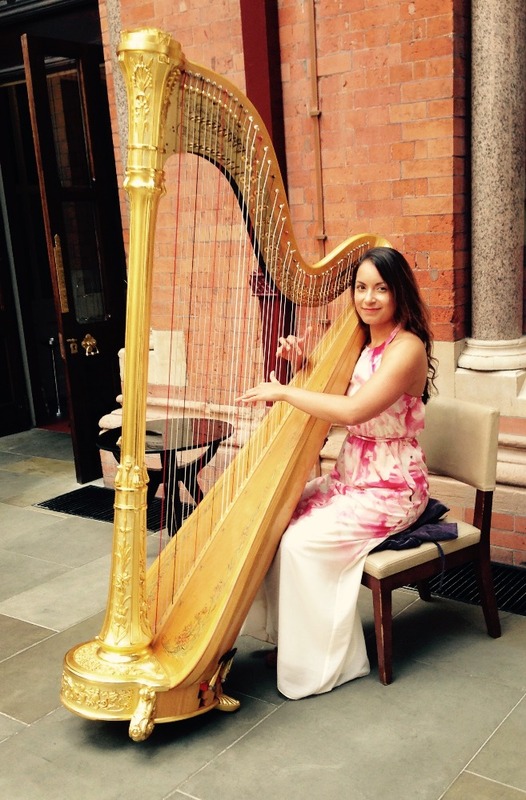 Melissa completed the Master of Music in Performance under the tutelage of harp Professor Daphne Boden, at the Royal College of Music. 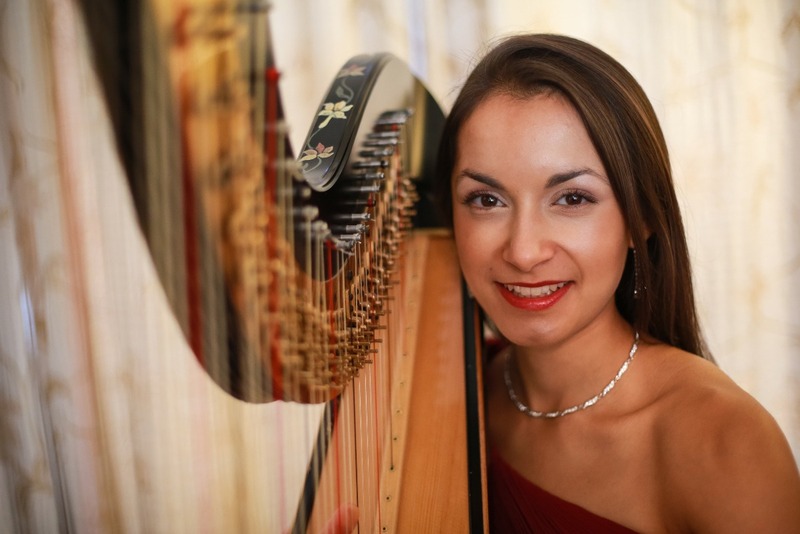 Prior to this, she read Music at King’s College London, where she graduated with Honours and received the LRAM teaching diploma with Distinction. She was successful in spending part of her studies at the Hochschule für Musik und Tanz Köln with Professor Han-An Liu. 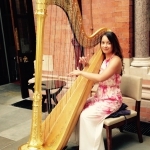 Melissa has participated in masterclasses with world-renowned harpists including Marisa Robles, Isabelle Perrin, Elizabeth Fontan-Binoche, Karen Vaughan, Imogen Barford, and Eleanor Turner. 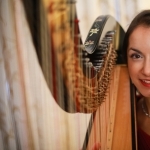 She has also regularly taken part in summer courses, such as the Académie Internationale de Courcheval and the International Harp Summer School, where she won the John Sebastian Morley Prize. 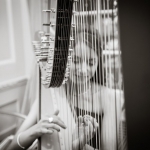 She was awarded a Distinction in the Premier Challenge Cup for Strings in the London Music Festival 2012. Dolce & Gabbana, Mathew Williamson, Buckingham Palace, St. James's Palace, Kensington Palace, the Ritz, the Savoy, The Royal Academy of Arts, Saatchi Gallery, Lincoln's Inn Fields, Grosvenor House, Mandarin Oriental, King's Place, Institute of Directors, RIBA, Coutts, Royal Courts of Justice, Trinity House, Honourable Society of Lincoln's Inn, The Banqueting House, Four Seasons Hotel, The Dorchester, The Landmark, Moor Park, Globe Theatre, Alexandra Palace, Royal Ascot, Portsmouth FC. 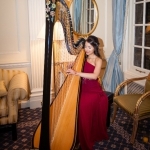 Melissa has extensive experience performing at weddings and events, adding a special atmosphere to any occasion. 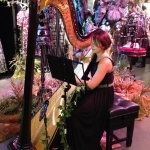 She will customize your event with the music of your choice or can help to guide you through different genres of music from her extensive repertoire list. 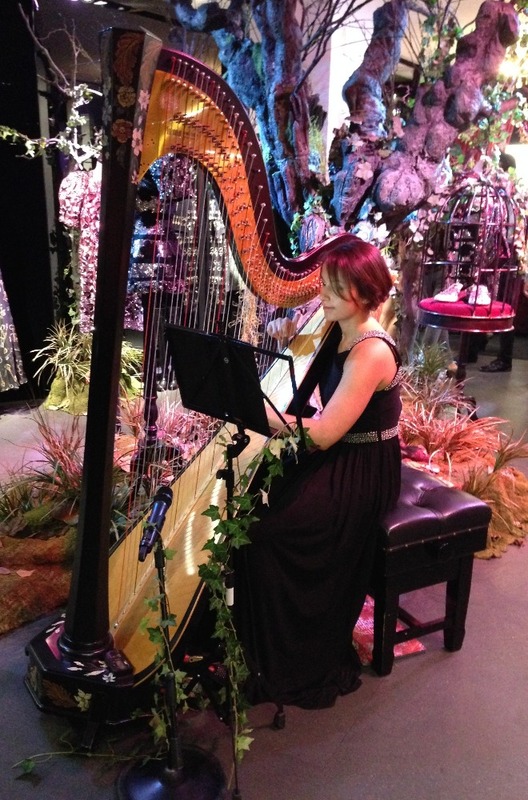 The harp is a versatile instrument and will add a touch of magic and enchantment that will be remembered by you and your guests.